For some Christians, Bart Ehrman is a kind of bogeyman. He marches in with a Ph.D. from Princeton, claiming that the biblical writers were mistaken about parts of Jesus’ life. He says that some of the books of the New Testament were deliberately forged in the names of apostles like Paul and Peter. He offers numerous reasons why the text of the New Testament is suspect. He even implies that there may be unscrupulous reasons why seminary-trained ministers keep promoting the doctrine of inerrancy when they know that the Bible contains mistakes. So why am I thankful for Bart Ehrman? He Shows Us That We Have Gotten Lazy. Ehrman challenges us to look at the biblical text more closely than many of us do. 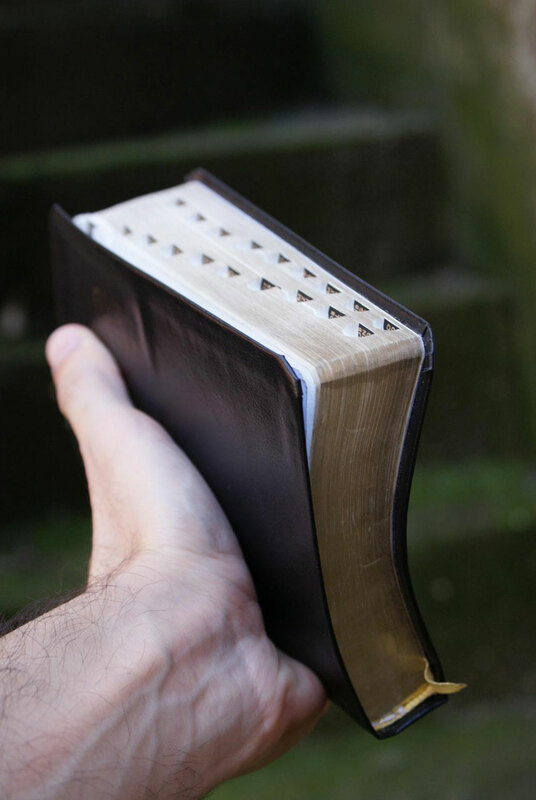 If recent polls are remotely accurate, the average Christian barely opens his or her Bible during the week. If he or she opens it at all, it’s on Sunday morning – assuming it wasn’t left in the car or at home. Many of us carry a Bible just for show, or as little more than an accessory for our Sunday attire. The basic lack of familiarity many Christians have with the Bible—the very book they claim is the Word of God—is appalling. He Forces Us to Think Through the Evidence. Ehrman’s conclusions aren’t always correct – that’s why we have to think. Some of his work is very helpful, particularly his book Did Jesus Exist? in which he defends the historicity of Jesus. But he has written extensively on the supposed errors—reaching into the tens if not hundreds of thousands—found in biblical manuscripts. This means that we must understand the objections raised against the reliability of the biblical text, and know how to answer them. Ehrman’s objections aren’t unanswerable; in fact, many highly-qualified scholars have answered them repeatedly. It’s up to us to be familiar with these points when our skeptical neighbors ask important questions. Human beings tend to be reactionary creatures. We tend to attack what we dislike, which includes those who disagree with us. We see challenges as something to conquer rather than something from which we can learn. Many people see Ehrman this way. I don’t. (I happen to like the guy. I briefly met him at a lecture at Middle Tennessee State University a couple of years ago) I prefer to see him as someone who can help me think through my faith—and the evidence supporting it—even though I powerfully disagree with some of his positions. Thank you for bringing this forward. I have been asked on my blog if I was familiar with Erhman — I presume it was because I was getting on about how people practice eisegesis more often than exegesis when it comes to select texts in the Bible. Like yourself, I do not agree with much of what he purports — I think he goes from one extreme to the other — but I like that he gets after the old school interpretations that many popular doctrines are based upon today. I also like Patrick Navas’ book — DIVINE TRUTH OR HUMAN TRADITION? A Reconsideration of the Orthodox Doctrine of the Trinity in Light of the Hebrew and Christian Scriptures — for the very same reason. He brings forward so much of what I have pondered as regards interpretations of select text and passages of scripture and the veracity of teachings based upon those common and popular interpretations. I think it its good to question and discuss the possibility that maybe – just maybe – there was some (or a lot) of church politics going on in the 3rd and 4th centuries, that resulted in alterations of original text — inclusions and exclusions of content to support select teachings / doctrines. If Satan was willing to misuse scripture when directly tempting the Christ, then who is to say that he didn’t have a hand in the canonization of the Greek Texts and the blood that was spilled as a result of the church’s interpretations of the texts and their enforcement of those interpretations — and all the bad blood that resulted in all the various denominations (divisions) among the body of Christ today? What is that old saying about dividing and conquering? Thanks again for being willing to at least broach the topic. it is true that Christians do not know how to study the bible anymore, it is because we believe in a clergy/lay system and we let men tell us they are sound, and we just believe it rather that allowing the Holy Spirit to prove/try/qualify every word they say through every Christian (James 3:1: 1 John 4:1). This book is nutty and still is based upon the presumption that all men cannot prove what is true by simply reading the word of God to see if man’s conclusions are correct. The church needs to get away from all doctrinal books and go back to the bible, and back to a time when Christians including our preachers and elders knew the word of God. As a fellow agnostic and biblical scholar, I am really grateful for Bart D. Ehrman and his work. I think he applies the right amount of affection, criticism, and scholarship that one needs to be a biblical scholar. Plus, in a scene that for some reason has really embraced ‘the Christ Myth,’ he has really thrown himself out there!